Need a gentle, spoken reminder that yet another hour has ticked away? I know I do, particularly whenever I find myself sitting at my keyboard, staring blankly into space. Here’s a handy way to stay focused. 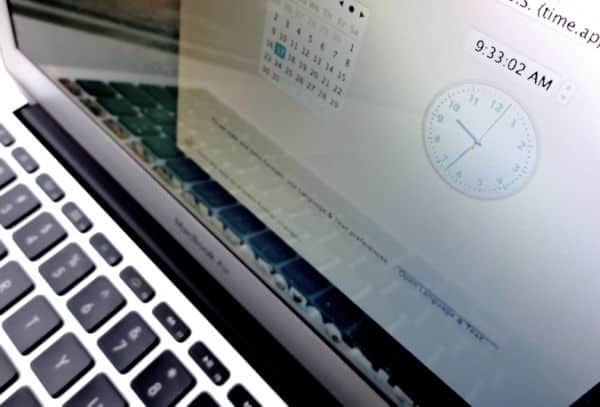 You can set your Mac’s built-in clock to read the time aloud every hour, on the hour—or every half hour, or even quarter hour. 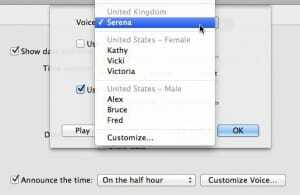 Not only can you choose when your Mac tells you the time, you can also pick from dozens of different voices (high and low, male or female) and languages (anything from English to Turkish). No, it’s not exactly like the late, lamented “time lady” (“Good morning! At the sound of the tone…”), but it’s close. Next, find the System section near the bottom, then click the “Date & Time” icon. At the top of the next screen, select the “Clock” tab, then click the “Announce the time” checkbox. You can set your Mac to announce the time on the hour, half hour, or quarter hour—your choice. You can have the Mac’s computerized voice announce the time on the hour, on the half hour, or the quarter hour; just select the option you want from the nearby pull-down menu.